Jen Beaudet Art: I'm doing the challenge again! 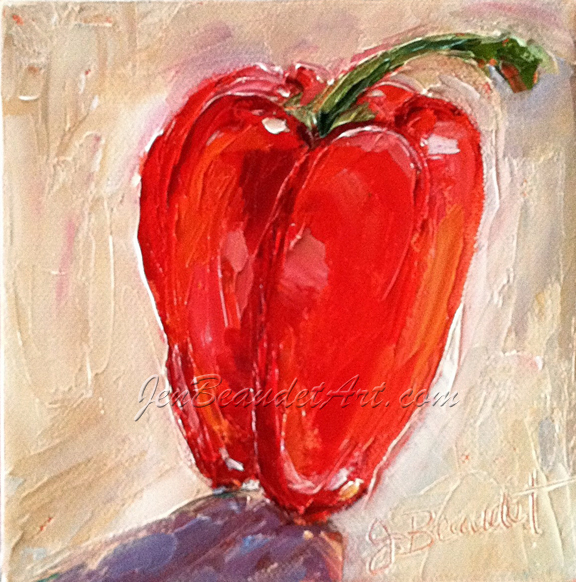 It's September at that means time for Leslie Saeta's 30 Paintings in 30 Days Challenge! It's so much fun to join along with so many wonderful painters! I love seeing what everyone comes up with. I posted a question on Facebook about what I should paint. It was more me thinking out loud, but I got some good feedback. Seems most of you like seeing my fancy ladies and flowers. I have the hardest time painting one theme, as you can see. So…I figured as long as I get some kind of consistency in the paint application, size of canvas, and try to stick to a limited palette, that might do the trick. That way I can paint anything and it will still stand out as a "Beaudet". lol That's the idea anyway…we'll see if that holds true. Hi Jen - yeah, this is definitely a "Beaudet"! Love it! Happy painting to you!